While the Republican U.S. Senate contest has garnered the bulk of the coverage, there are a few other local races on Tuesday’s primary ballot. In the 4th Congressional district, voters will have to choose either a Republican or a Democratic ballot as there are contests on both sides. Incumbent Republican Rep. Randy Forbes faces a challenge from Petersburg businesswoman Bonnie Girard. On the Democratic side, Chesapeake council member Ella Ward faces off against school teacher Joe Elliot. In Hampton, there is a Democratic primary for Commonwealth’s Attorney, an opening created when the incumbent stepped down in February. Deputy prosecutor Anton A. Bell faces attorney and former prosecutor Dywona “Dee” Vantree-Keller. More on that race can be found in this Daily Press report. 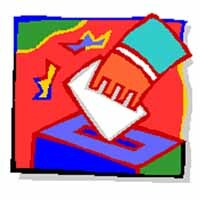 The State Board of Elections has lists of all the candidates throughout the state for congressional and local races. Check it out for races in your area.